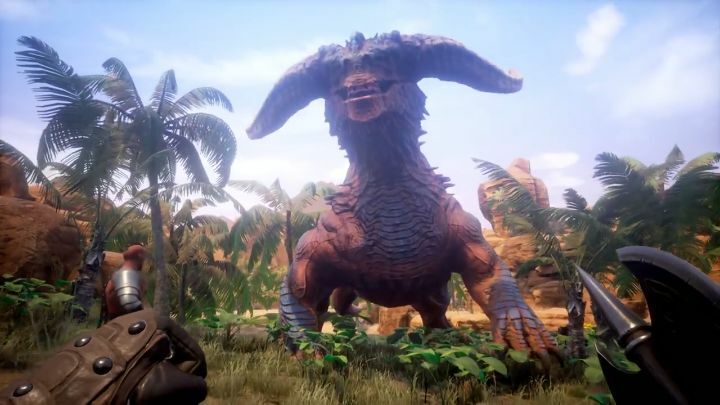 If one thing is clear, is that Conan Exiles by developer Funcom is looking like it could be one of this year’s most promising video game releases due to its open-world gameplay and competitive multiplayer options. And Norwegian developer Funcom has been releasing a series of videos showing off the game’s sandbox gameplay, with an earlier video focusing on Conan Exiles’ building gameplay, while this latest preview video shows what’s needed to survive in the game’s cutthroat world of Hyboria. In this video we see how players will be able to hunt in Conan’s world using weapons such as spears, but tougher creatures will need silver weapons to defeat, while players will also be able to “capture” thralls and made them work as blacksmiths in order to craft Cimmerian weapons for instance. Also, these thralls can be used to defend one’s base of operations in multiplayer player vs player matches, and clearly building a suitably fortified home will be a critical thing when it comes to surviving in the game’s world. All things considered, Conan Exiles is looking like it could be one of this year’s most exciting releases, and thankfully we won’t have to wait too long to take the game out for a spin as it will be available on PC later this month, with a console release to follow in Spring.